A 115-year-old Detroit-area woman now listed as the world's oldest living person still makes plans for a fishing trip each year and credits God for her longevity. Jeralean Talley of Inkster tops a list maintained by the Los Angeles-based Gerontology Research Group, which tracks the world's longest-living people. 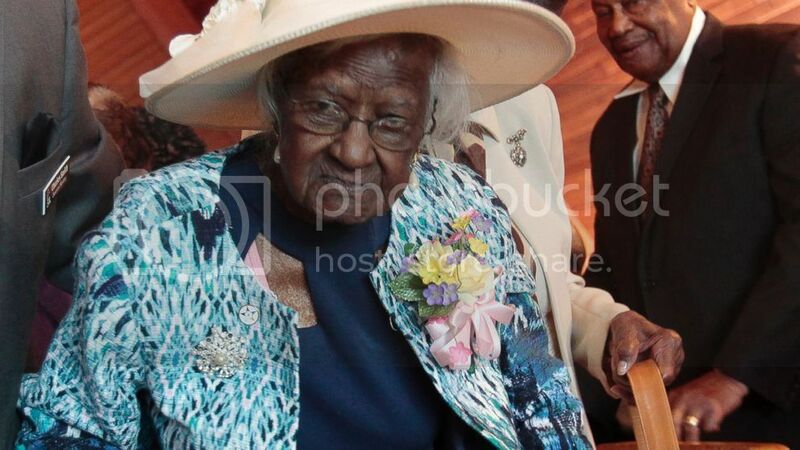 Gertrude Weaver, a 116-year-old Arkansas woman who was the oldest documented person for a few days, died on Monday. "It's coming from above," she told the newspaper. "That's the best advice I can give you. It's not in my hands or your hands." Michael Kinloch, 56, of Wayne County's Canton Township, is a General Motors engineer and longtime family friend of Talley's through their church. He said Talley's mental state is "is very sharp."